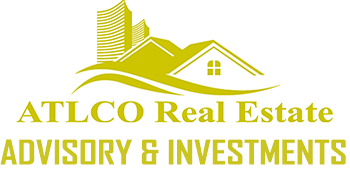 ATLCO Real Estate Inc. is a privately held corporation that is headquartered in Atlanta, Ga and founded by Victor E. Bomi, Chief Executive Officer in 2013. Originally, ATLCO was operating under the name Bomiventures, LLC. when Victor first ventured out into the real estate industry. Victor, a BBA Finance graduate, from the University of West Georgia, founded ATLCO because of his passion for helping people create financial freedom and his strong belief that real estate investing provides the best platform for accomplishing financial security and peace of mind. He has a financial advisory background after a brief stint with New York Life, were he learned the importance of being a relationship first firm and how putting our clients first will ultimately lead to the long-term success of this company. His desire to follow his entrepreneurial passion of real estate and helping people leave a legacy, led him to leave the opportunity to work at a Fortune 100 company and begin his own advisory and investment company. Throughout the years, Victor has been able to accumulate a proven track record of success in the real estate investing industry. He has acquired very specialized industry knowledge, experience, contacts, and relationships that have led to the creation of the firm you see today, ATLCO. We have been responsible for over $2 Million dollars worth of real estate acquisitions, we have raised over $2 Million dollars worth of private financing for investing in real estate, and our asset management division (E&E Capital Management, LLC) manages well over $25 Million dollars and over 200 Units in the Atlanta, Ga market. We are a firm that puts our clients’ interests first, and the values and philosophies we see here at ATLCO today are a direct result of the foundations and life experiences of the founder. This company is birthed in the passion for making a difference in the world, impacting the world in a positive way, and leaving a great legacy behind for our loved ones.